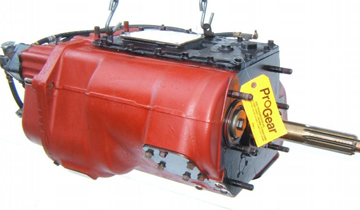 » Fuller Transmission for sale worldwide – We Ship Same Day. We stock all Fuller transmission models including Fuller mid-range transmissions from auto shift to manual shift. New and rebuilt Fuller transmissions ready to ship Worldwide! Fuller transmission and fuller truck transmissions for sale at discount pricing. We deal with any application for on and off the road. We buy fuller transmission cores that need of rebuilding. We can buy parts at a discount prices. We stock any and all Eaton Fuller transmission parts you or your shop may need including Eaton mid-range parts to rebuild units such as gearing, cases, seals, gaskets and bearing kits. For on highway, off highway, industrial, agricultural, construction, mining, logging and others! Buy Fuller Transmission and Mid-range Parts at a warehouse discount Price. Heavy duty truck and equipment available today. If you need 10 items to rebuild your unit, make one call because we stock them all. If you only need a certain part or maybe a hard to find part for you, then look no further. We offer a wide range of parts and rebuilding kits from Eaton to help you repair your transmission right. Do not trust the other off-brand makers. We always use original OEM parts straight from the manufacturer. We have hard to find parts that are hard to come by so give us a call today to speak to an associate and get your parts in by tomorrow! We offer next day air and ship worldwide to all major countries and cities across the globe. Pro Gear has been delivering quality truck parts for over 14 years and counting. In addition to our large inventory of ready to ship exchange Eaton Fuller Transmissions, we offer a rebuilding service of your transmission! We have all the tools, knowledge and experience to repair and rebuild your transmission the right way! Call us today to get a quote. We offer rebuilt transmissions and used units. We can locate any parts and can rebuild your unit and install it on site. With a complete rebuild shop as well as a complete service and parts department we have what it takes to work on heavy duty trucks!